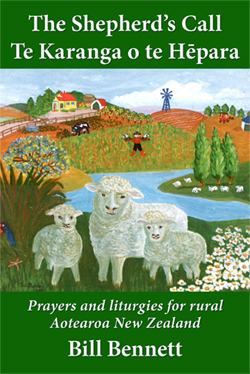 Discover a prayer for every aspect of rural life. 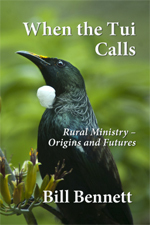 We now print this book in New Zealand and have plenty of copies in stock. “For decades a tireless advocate for the uniqueness and signiﬁcance of rural ministry, Bill Bennett is a neighbour and friend. Since I came to Napier, as he lives just along the road (by rural standards) from me, the hospitality of Bill and Wendy has enriched my life-as it has many others. Yet as long as I have known him, he has been a neighbour in the broader sense. 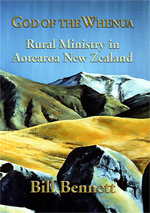 I come from rural Canterbury and worked for many years as a ministry educator, ﬁrst nationally and then in the South Island. Wherever I met Bill, we have talked about what’s going on in the countryside. 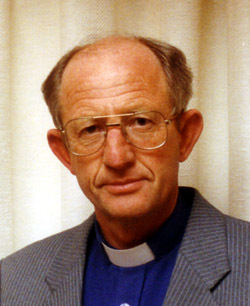 He helped establish the Hawkes Bay Rural Ministry Unit in the 1980s, providing impetus for others around the country to reﬂect theologically on the rural scene. He has the ability to build friendships and make connections, living out the principle that rural life is shaped by communities of neighbours. Bill was brought up in a farming family in Dannevirke, and apart from a short time in the UK he has ministered as a priest in Waiapu since his ordination in 1964, serving in many of the parishes in this largely rural diocese. He has a strong ecumenical commitment and a deep conﬁdence in rural churches to adapt creatively to social and economic change. A musician and composer of many hymns, he understands the complexity of rural life with its overlapping communities and its deep dependence on seasonal life. 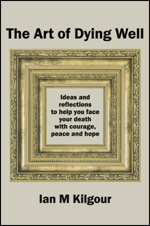 This understanding shines through the resources in this new book. 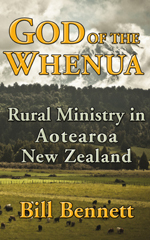 Following Listen to the Shepherd 1997, Seasons of the Land 2001 and God of the Whenua: Rural Ministry in Aotearoa New Zealand 2005, this book comes to us at a time when rural life seems to be less relevant to most New Zealanders, including church decision-makers. 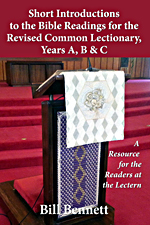 Yet these liturgical resources will touch everyone who is interested in seasonal joy and struggle, planting and harvest, whitebaiting and hospitality. 117 prayers are arranged into broad themes: the seasons, environment, community, mission and ministry, work, crisis and loss. New Zealand. I commend them to you and hope they are widely used across the country. They are for us all.” From the Foreword by Rev Dr Jenny Dawson. and to be of service to others. and the dogs and horses that assist us in this work. will not let us neglect the animals under our care. the night pens are filled. with tea from the thermos flask. and come to adore the new-born child. to your glory and love. in the rural community of …………..
has been severely affected by flood/snow/rain/cold/fire/drought. and the challenge of finding new employment. through interpersonal or financial stress. commercial services and farm labour. and the customs of the local community. in and through the strength of the Holy Spirit. Bill Bennett comes from a Southern Hawke’s Bay farming background. He has served much of his ministry as an Anglican priest in rural parishes in the Diocese of Waiapu as well as in the Norwich and Lichfield Dioceses in England. He worked as Ministry Enabler and twice as Regional Dean in Hawke’s Bay between 1994 and 2015.